Once you have collected many good pieces of information about your person, the next step is to combine those pieces in such a way as to cast light upon your questions. Have you been "culling" the information as you went along? Have you been sorting your findings so they are lined up under the questions you posed at the beginning? Now that you have gathered your files . . . Which information will help support new insights? Which information will be thrown away? Which bits and pieces can be combined? 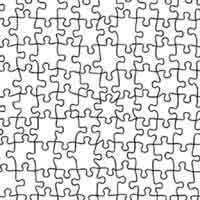 Synthesizing is like moving puzzle pieces about until a picture emerges. Instead of cardboard pieces, you are moving ideas and facts. These materials may not be duplicated or published elsewhere, electronically or on paper or any other medium.